Sitting on the balcony of Onno’s apartment in Delft, looking in two directions. 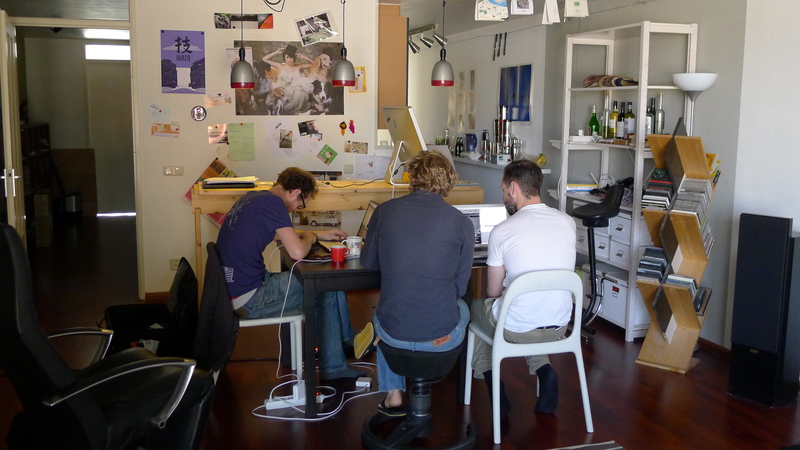 Inside, Onno and his partners are working on their App. – “Ding Dong”. They have signed the contracts with their investors In Berlin and will move there soon. We have talked about the culture of the “Start-Up” – just such a different approach to the traditional heirarchical institutionalised approach. It’s fluid, open and what matters is getting something innovative ‘out there’ as soon as possible – even if the main idea needs to have some work done on it later. Failure is learning. The idea is what counts. In the other direction we have the huge 10 year underground development in Delft, which divides the city, both physically and also politically. MoTiv are chaplains to the development. Among other things this means encouraging the churches to invite key planners to talk about their plans in the churches – to share their hopes and dreams and so for the churches to embrace the innovators and affirm the spirituality of innovation. Careful, methodical planning is evident in the construction site – nothing is left to chance. The culture of engineering values not only imagination and creativity, but must bring those hopes to physical reality. 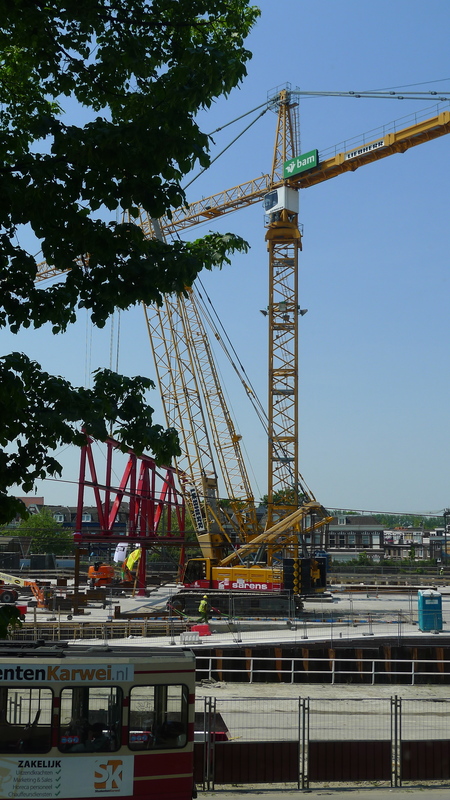 I have watched the careful erection of the large red steel structure that sits perfectly in place; it must be immensely satisfying for the architects and engineers to now see it bolted into position. So, on both sides of me, I have innovation being enacted. I suspect that the spirituality of both sides has similar elements. But I think we can say that ‘command and control’ authoritarianism is either dead or at least transformed to a more open approach. ‘Closed’ is helpful to get things done in an agreed way, ‘Open’ is the space where imagination roams free. This entry was posted in Informal Recreational Cultural and Vocational Discussions on June 8, 2013 by Geoff Boyce. Hi ACC Planner, aka, David – I like John Cleese’s take on creativity (it’s on my other blog – geoffboyce.com on the My Resources page) when he talks about creating open space – and only in the open space can imagination be let loose and creativity flourish (a la Genesis 1) – but then we need closed space where things decided are done in order. The two complement each other and both are necessary, and we generally we move seamlessly back and forth between the two. So I actually think we’re on the same page about this. Authoritarians tend to live most of their time in a closed system – I think their unwillingness to entertain intellectual and emotional space with the other frustrates any relationship. Hence the Arab Spring etc – a frustration with years of authoritarian rule. It’s all about hospitality, of course! – making space a la Henri Nouwen. And that’s something you’re very good at David, if you don’t mind me saying so.